Lose your licence if you speed twice | What Car? Drivers will be banned after two convictions if they exceed the speed limit by 15mph in urban areas or 25mph on motorways, under a shake-up of road safety laws anticipated next month. 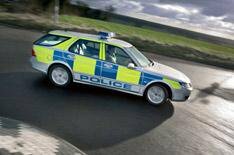 Currently drivers caught speeding receive three penalty points on their licence. However, the new rules will see penalties gradually increase the greater the speed the driver is clocked at. It means, for example, that drivers will get six points on their licence if they are caught travelling at 45mph in a 30 mph zone, 55mph in a 40 mph zone or 95mph on motorways. Simultaneously, the Department for Transport will also announce proposals for tougher drink-driving rules and the implementation of a 60 on-the-spot fine for careless drivers. Legislation will also be tightened on drug-driving. All of the proposals will have to be ratified before becoming law.